Martin Luther died in 1546, and Philipp Melanchthon in 1560. After the death of Luther came the period of the Schmalkaldic War and disputes among Crypto-Calvinists, Philippists, Sacramentarians, Ubiquitarians, and Gnesio-Lutherans. The Book of Concord gave inner unity to Lutheranism, which had many controversies, mostly between Gnesio-Lutherans and Philippists, in Roman Catholic outward pressure and in alleged "crypto-Calvinistic" influence. 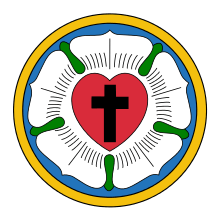 Lutheran theology became more stable in its theoretical definitions. Lutheran scholasticism developed gradually, especially for the purpose of disputation with the Jesuits, and it was finally established by Johann Gerhard (1582-1637). Abraham Calovius (1612-1686) represents the climax of the scholastic paradigm in orthodox Lutheranism. Other orthodox Lutheran theologians include (for example) Martin Chemnitz, Aegidius Hunnius, Leonhard Hutter (1563-1616), Nicolaus Hunnius, Jesper Rasmussen Brochmand, Salomo Glassius, Johann Hülsemann, Johann Conrad Dannhauer, Valerius Herberger, Johannes Andreas Quenstedt, Johann Friedrich König and Johann Wilhelm Baier. The theological heritage of Philip Melanchthon arose again in the Helmstedt School and especially in the theology of Georgius Calixtus (1586-1656), which caused the syncretistic controversy of 1640-1686. Another theological issue was the Crypto-Kenotic Controversy of 1619-1627. Late orthodoxy was torn by influences from rationalism and pietism. Orthodoxy produced numerous postils, which were important devotional readings. Along with hymns, they conserved orthodox Lutheran spirituality during this period of heavy influence from pietism and neology. Johann Gerhard, Heinrich Müller and Christian Scriver wrote other kinds of devotional literature . The last prominent orthodox Lutheran theologian before the Enlightenment and Neology was David Hollatz. A later orthodox theologian, Valentin Ernst Löscher, took part in a controversy against Pietism. Mediaeval mystical tradition continued in the works of Martin Moller, Johann Arndt and Joachim Lütkemann. Pietism became a rival of orthodoxy but adopted some orthodox devotional literature, such as those of Arndt, Scriver and Prätorius, which have often been later mixed with pietistic literature. Church music flourished and this era is considered as a "golden age" of Lutheran hymnody. Some hymnwriters include Philipp Nicolai, Johann Heermann, Johann von Rist and Benjamin Schmolck in Germany, Haquin Spegel in Sweden, Thomas Hansen Kingo in Denmark, Petter Dass in Norway, Hallgrímur Pétursson in Iceland, and Hemminki Maskulainen in Finland. The most famous orthodox Lutheran hymnwriter is Paul Gerhardt. Prominent church musicians and composers include Michael Praetorius, Melchior Vulpius, Johann Hermann Schein, Heinrich Schütz, Johann Crüger, Dieterich Buxtehude and Johann Sebastian Bach Generally, the 17th century was a more difficult time than the earlier period of Reformation, due in part to the Thirty Years' War. Finland suffered a severe famine in 1696-1697 as part of what is now called the Little Ice Age, and almost one third of the population died. This struggle to survive can often be seen in hymns and devotional writings. The era of Lutheran orthodoxy is not well known, and it has been very often looked at only through the view of neo-Protestant liberal theology and pietism and thus underestimated. Also the wide gap between theology of orthodoxy and rationalism has sometimes more or less limited later theological neo-Lutheran and confessional Lutheran attempts to understand and restore Lutheran orthodoxy. The most significant theologians of orthodoxy can be said to be Martin Chemnitz and Johann Gerhard. Lutheran orthodoxy can also be reflected in such rulers as Ernst I, Duke of Saxe-Coburg-Altenburg and Gustavus Adolphus of Sweden. ↑ History of Finland. Finland chronology, Fagan, Brian M. (2001-12-24). The Little Ice Age: How Climate Made History, 1300-1850. Basic Books. ISBN 0-465-02272-3.